We are all unique beings who follow our own path. Some people excel in business, arts, engineering, sciences, and other areas where they make great contributions to the world. And there are quite a few whose contributions can impact all of humanity with their great spirits and wise words. They’re the spiritual masters and teachers gifted with wisdom where we all can learn from. Because our life experiences are limited, it is wise that we learn from the greatest teachers in the world and allow them to expand our perspective to a world beyond the limits of our own thinking. One such man was China’s Confucius. 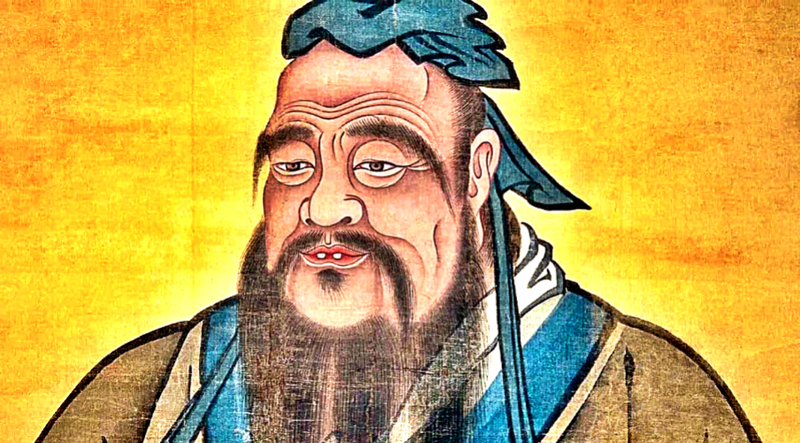 Considered as one of China’s most influential teachers, Confucius’ eternal wisdom has gifted the world with rules for thinking and living that expand our minds. Here are some of his best quotes that will certainly expand your perspective. There are some people who want to try something out. But because they’re scared of the consequences, they’ll persuade others to do that thing and see what happens. This is just not good. Don’t push others to do things that you would not even want to do yourself. The quality of your life speaks the quality of your thoughts. When you have happy thoughts, you have a happy life. And it vibrates to the world at large even if you don’t shout about it on the rooftops because good thoughts, as well as meditation, brightens your light. In short, the change that we want to see in the world begins in our homes and in our hearts. You’re not in control of other people’s thoughts and actions. Whether or not they hurt you is their own choice. But when they do hurt you, you’re in full control of your own reaction to it. It’s only when you allow the hurt to linger in your mind that you’re giving them power over you. Yet, if you choose to forgive them and move on, you’re giving yourself freedom from the act done to you. Don’t forget the kindness done to you by other people because they can serve as your inspiration to pass the kindness on to others. And it’s what our hurting world badly needs. Worries serve you nothing. Give up worrying when there’s no reason to be feeling that way. The person who doesn’t feel inferior to others won’t act out as superior. But those who feel they’re inferior to others take every opportunity where they believe their superiority is being recognized. The people who think small engage themselves only in small matters, while the people who think big, engage themselves in greater matters. In whatever you do, your actions speak whether you are a small or big person. Seeing the mistakes of other people should remind you of your flaws too, instead of judging them for their flaws and imperfections. These words encourage you to stay present, to be in the moment. You can’t be fully present in one place when your thoughts and heart are somewhere else. Besides, success in one undertaking can only be achieved when your heart and soul are into it. The easiest way to help yourself is to help others. The good that you have done to others will return to you twice as much. It’s how the law of The Universe works. Similar to what we have always known, Experience is the best teacher. It may not be the easiest, but it’s the one that can provide you with the greatest life lesson. The incredible and wonderful things lie inside your heart and soul. You don’t need to seek it in others because you already have it. If you do, you’ll act small because you don’t know how magnanimous your state of Being is. It is but human failing to complicate things. If you find your life is complicated, maybe you need to double check your priorities and what really matters in your life. Life is never meant to be complicated. These words are what our modern times need. This fast paced era has already produced enough workaholics and depressive people. Productivity may be on the rise, but the quality of our life has been at risk. Look at your life and see if it’s productivity is equivalent to its quality. Just focus on your goals, doing one thing at a time, in small baby steps. Being slow does not imply failure. Stopping along the way is.